The filmmaker is taking a brief break from the editing suite on her latest project, The Heights, which she has just finished filming in Perth, Western Australia. She has had little time to celebrate though, with the exception of “two glasses of red wine and going to bed at 10pm” when her time on the shoot officially wrapped the previous Saturday. 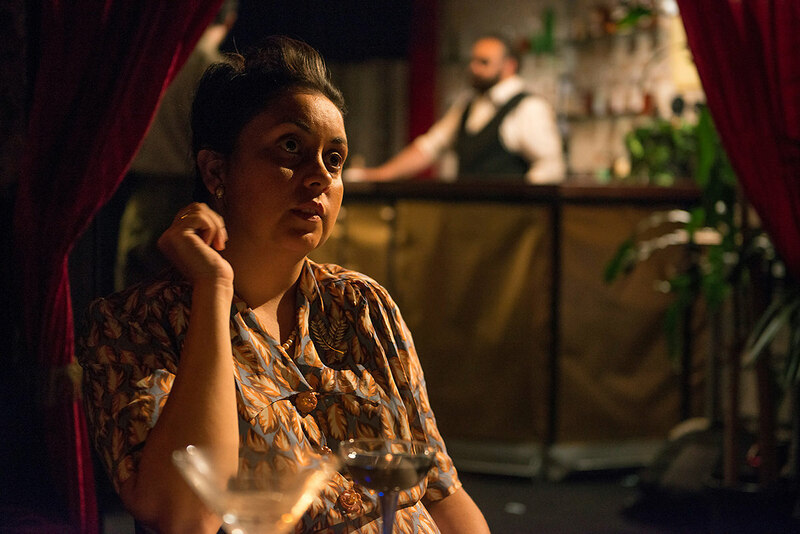 The 30-epsiode serial drama will make its debut on Australian screens in 2019 on ABC – internationally with NBCUniversal – and follows the lives and interpersonal relationships of residents living in a social housing tower within a rapidly gentrifying neighbourhood. Having directed three episodes of the show, the project has been full of new challenges for Johnson. “It’s equivalent to shooting a feature film in nine days, if that gives you an idea,” she laughs. Yet it’s also one that marks a shift in the industry. The Heights gives viewers a multicultural ensemble cast within the serial drama format: something Australian audiences are not used to seeing – including Johnson. With shorter season orders being the trend, the experienced writer, producer and director says “it’s an exciting time to be working in the industry”. “Especially in television, I think, as everyone keeps saying: it’s the new cinema. It’s where it’s all happening.” With over two decades in the business, Johnson is one of the most prolific Indigenous filmmakers in Australia working on award-winning short films, documentaries and features. And according to her, it all started by chance when she was studying communications at the University Of Technology Sydney (UTS) in the early nineties. “I wouldn’t say I always wanted to be a filmmaker,” she says. “Filmmaking found me, I think: it wasn’t part of a grand plan at all. 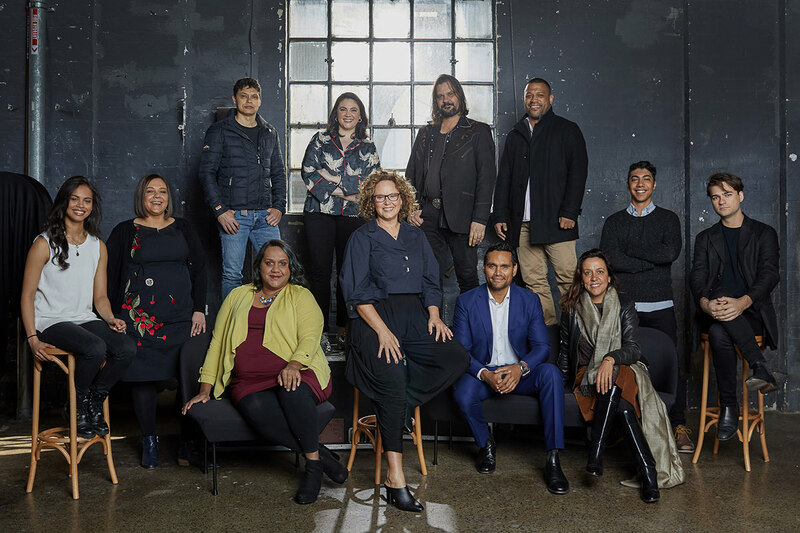 When Screen Australia’s Indigenous Department was first founded in 1993, one of the debut initiatives from the first head of the department, Walter Saunders, was From Sand To Celluloid. 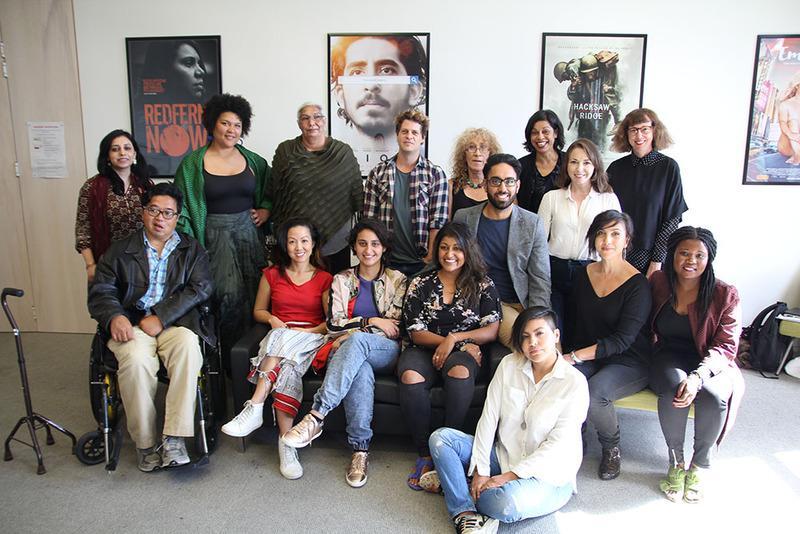 After a development workshop, six Indigenous filmmakers had projects that were produced into completed shorts, including a young Warwick Thornton and Darlene Johnson. “There was a call out to filmmakers all around the nation to submit scripts and ideas for development and form teams,” she says. 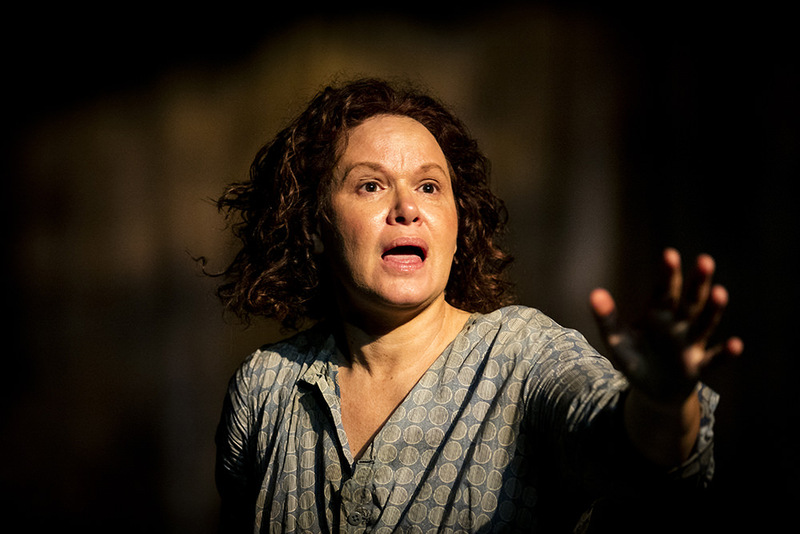 “It was something that I saw as a really important way to transmit our own personal stories. I grew up in a time when we weren’t visibly represented and if you did see Indigenous people, it was a negative stereotype by and large. I remember feeling gobsmacked that there had been no fair-skinned Indigenous characters portrayed on screen … In the 1950s there were these two colonial definitions of who and what could be Aboriginal (you had to make up your mind if you were a whitefella or a blackfella) and nothing in between.” Johnson’s short Two Bob Mermaid, which came from the initiative, is set in the 1950s and drew from her own experiences growing up biracial in Australia with an Aboriginal mother and Scottish father – but it was also inspired by her mother’s childhood experience of growing up in country NSW in the 1950s under the assimilation policies. “I sat my mum down one day and asked her to tell me her experiences of passing for white at the local swimming pool,” says Johnson, who hails from the Dunghutti people of New South Wales. It was a steep learning curve for Johnson, who says that she started the process of developing Two Bob Mermaid “knowing nothing” and left having her “life changed”. “At the end of the day, through all the trials and tribulations, you get to the end of making a film and it’s just so worth it. Each film becomes a part of who you are. It changes your life: you can never go back. It’s life transforming, that’s why I love it!” Two Bob Mermaid, which was released in 1996 and screened nationally and internationally as part of the other films included in From Sand to Celluloid, was the start of Johnson’s “accidental” career. “It was really a pathway to move Indigenous filmmakers into the industry, to give us the wherewithal, support us to develop our own ideas for short films and to skill us up so we could transition into the business,” she says. “I had no idea I would end up pursing a career in the industry at all.” Johnson adds with a laugh: “It has worked out pretty well, I think. I have been working my guts out. When you make one film, you get the bug and you just want to keep on doing it. That’s what happens.” In the two decades since, Johnson made the documentary Following The Rabbit-Proof Fence and worked alongside Phillip Noyce as the director’s attachment on Rabbit-Proof Fence, as well as writing and directing acclaimed shorts Crocodile Dreaming and Bluey (both supported by Screen Australia) and several documentaries including The Redfern Story, River Of No Return, Games People Play, Gulpilil: One Red Blood, The National Black Theatre, Stranger In My Skin and the seminal Stolen Generations. 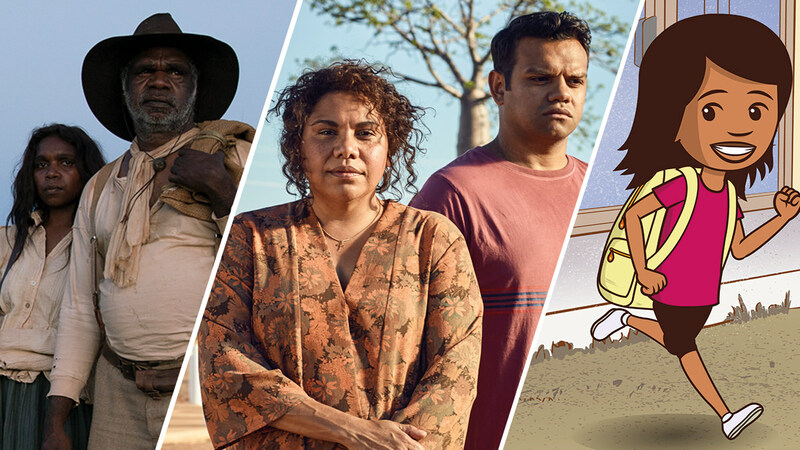 With Screen Australia’s Indigenous Department celebrating its 25th anniversary at the end of last month, Johnson says she hopes the next 25 years will see Indigenous filmmakers expand into other genres. “I hope there’s still a local industry where we can continue to develop and produce and create our own stories in all forms and formats and not be ghettoised into ‘just Indigenous based things’, because a lot of us have other interests and pursuits as well,” she says. “That foundation does define what we are and who we are, it’s our identity, but being able to work in other formats, styles, genres and to be able to move beyond just Indigenous filmmaking would be an exciting prospect for the future. “So people don’t think ‘oh, you’re Aboriginal so you only do Aboriginal specific stories’. He’s a familiar face on the big and small screen. Yet after a decade in the industry, Aaron Fa’Aoso is looking towards the future of Indigenous storytelling with single-minded focus.